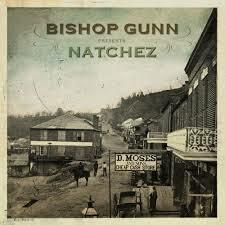 Originally from Natchez, Mississippi, this band shows originaly in naming its album title after its hometown. This relative originality is found in the content of the disc, a production sometimes spoiled by clumsy pieces rather boring ("Southern discomfort", "Wheels", "Silver streets", "Baby what you want me to do"). It gets a little better with the funky "All the ways" and its well-played solo, "Anything you want" (a Southern blues-rock with a beefy guitar solo) and "Right there with me" (a moderate-tempo Southern-rock with a good slide). Listening to all these titles, we think that the musicians are not bad, nothing more, and that they evolve in the register of clumsy blues-rock and third class Southern rock. But we must not trust appearances. As always, the good surprise arrives where we do not expect it. Without warning, the spirit of the South resurfaced with two great songs: "Devil is a woman" (a "Southern soul" song with a guitar solo reminiscent of Dickey Betts) and the melodic "Shine" (with the soul/Motown atmosphere in the style of Wet Willie). And here it is downright good! It was time ! In conclusion, this average record reminds me of my school reports where regularly appeared the remark "Can do better with some good will! "